The Thirty-Year War in Germany during the 1600s between the Catholics and Protestants is a piece of history that is seldom mentioned or taught. This war devastated entire regions, drastically reduced populations and developed into a general war involving much of Europe. 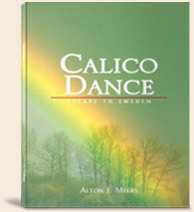 Follow the fictional account of a family in the midst of a war-torn country as they struggle to survive and escape the bloodbath in Calico Dance: Escape to Sweden, an intriguing book written by Alton J. Myers. Teacher and author Alton Myers writes a historical fiction of the 1967 upheaval in Detroit. Sizzlin’ Summer Surprise takes us back to the country’s turbulent 1960s and shows vivid scenes of a graduate student’s eyewitness account during that summer’s riot. Though this may be historically relevant, the author is in no way assessing blame, reason, or outcome – except the changes that happened in his life because of that surprising summer. Fiction this may be, the truth lies in its message --- as many lives of those who lived those days changed, so would the readers of this present age be. 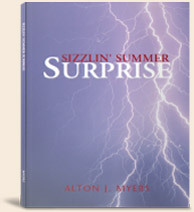 Be enthralled as you experience Myers’s Sizzlin’ Summer Surprise.